It is a generally accepted fact that Sean Penn is a douchebag. He even alludes to this himself in the clip above. That being said, Milk was a fantastic film and he certainly deserves this Oscar. His acceptance speech is one of my all-time favorites. How gorgeous are these books? Penguin Classics released this hardcover series of classic literature through Waterstone's in the UK, but it is now unfortunately out of print. 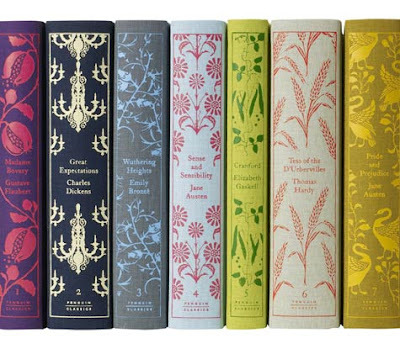 Rumor has it that Penguin plans to release a North American paperback series in time for Mother's Day, but to me that defeats the purpose of the beautiful designs - the texture of the fabric covers holds much of the allure. These would definitely be a great eBay find! 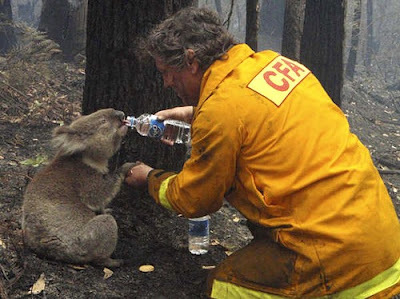 The terrible brush fires in Australia have already killed over 170 people, destroyed millions of acres, and the damage to the ecosystem, including the furry forest inhabitants, is devastating. But there seems to be at least one happy ending: that of Sam the koala. Firefighter Dave Tree used his camera video phone to record the encounter - watch the video above. Koalas normally don't drink water; their eucalyptus diet gives them all the moisture they need. But, as you can see, the eucalyptus forest has been burned to cinders. The dazed koala gratefully drinks the water offered to her by Tree, and appears to hold his hand while doing it. "I yelled out for some water and I sat down with her and tipped the water up," he told reporters. "It was in my hand and she reached for the bottle then put her right claw into my left hand which was cold so it must have given her some pain relief and she just left it there. It was just amazing." The koala's paws were burned in the fire. The fuzzy little guy - who turned out to be a girl - was brought to the South Ash Wildlife Refuge where she will spend the next several months recovering before being released back into the wild. Until then, she has found a new friend: another rescued koala named Bob. "They keep putting their arms around each other and giving each other hugs. They really have made friends and it is quite beautiful to see after all this. It's been horrific," said Colleen Wood, who works at the center. David Tree came back to visit and was delighted to see Sam had found a new friend. "My heart goes out to the people in these fires and this was so innocent so people have used this to distract them from all the sad stuff that has gone on. It gives people a bit of hope." I LOVE these love pillows : ) Pillowcases, actually, from British home supplier Lush Designs. The font is gorgeous, the color is perfect for my bedroom, and what is more appropriate to cover the pillows on your marriage bed than the word Love? I'm debating on buying these only because with the exchange rate they will cost over $50, which is an awful lot to spend on cotton poplin... Anyone know of anything similar stateside? I just bought this gorgeous sweater from Etsy seller All Things Tangled. I love hand knit sweaters... my grandmother used to make me several a year when I was a little girl. 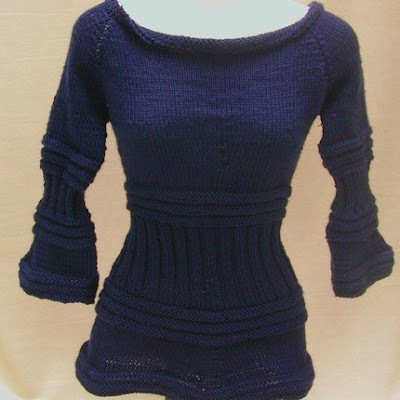 This one combines everything I love in a sweater: fitted, textured, boat-necked and blue. I'll be traveling to Chicago next week, and hopefully this will arrive in time to keep me warm! I love the e*trade babies!